I'm already getting concerned about my right arm for it is aching since Holy Week! It hurts when I try to bend it and when I carry heavy things. I'm just clueless why it is like that for I just woke up one day with an acing arm. I thought it's just "rayuma" or arthritis but it's not joint that hurts but the muscle!. I tried putting salonpas, oil and even massaging and resting it for sometime but up to now it still hurts. I am guessing it is also due to prolonged used of the computer where my arms are bent for a long time. I don;t know! Not sure what kind of doctor to approach, maybe a physical therapist? It's been almost 2 months now that it is like this so I'm kinda worried. It can sometimes be quite difficult to find the perfect military style leather jacket. There are may brands to choose from, and they all claim to offer the best products. If you're interested in finding a high quality jacket that's within your price range, the leather jackets for men at LandingZone.com might be exactly what you're looking for. When you visit Landing Zone's website, you'll find a wide variety of durable and comfortable leather jackets that look as though they were commissioned by the military. The ability to browse by brand, size and style makes the process of finding the perfect jacket simple. There are plenty of products available in a variety of sizes, from regular to big and tall. Landing Zone works directly with some of the best leather jacket brands and manufacturers, so when you buy from Landing Zone, you're taking advantage of some of the best prices around. In an effort to provide their customers with peace of mind, Landing Zone accepts unworn, unwashed or defective jackets for a full refund. Instead of wasting valuable time and energy scouring retail stores and the Internet trying to find a military style leather jacket that's right for you, just take a look at www.LandingZone.com. With so much available, you're bound to find something that suits your style. My sister and her husband are both OFW's in the Middle East and they went back home because 2 of the children are graduating from Mapua. Their hearts are contained with gladness and appreciation because after so many years or working hard overseas just to send their children to college, finally they have graduated. Few weeks before their children's graduation, they arrived and we're able to spend out town as well as what I have posted in my previous posts. Last May 23, my niece and nephew graduated from their university, MAPUA to be exact. End of May is not the usual graduation month for most university students but their univ having 4 sems in a year that is why their commencement exercises are dated like that. With so much pride and joy, my sister, BIL, my mom, bro and their other child attended the graduation rites at PICC and since there are too many graduates that time, it was almost late at night when they arrived home. Ah.... finally they are newly graduates already. My nephew earned a degree in Computer Engineering and luckily he already got a job after he finished his OJT in the company. Meanwhile, her sister finished Multi-media arts at the same university. She is planning to apply for a job soon. Praying for their success in the future and hope they can give back to their parents. Whether using as a utility vehicle for getting work done, or as a recreational vehicle for just having fun, the Yamaha Rhino can handle almost anything placed in its path. In fact, it could easily be described as a vehicle for practical enjoyment, especially when the Rhino is enhanced with genuine Yamaha Rhino accessories. 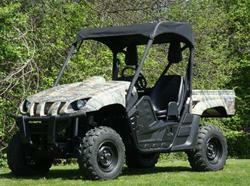 There are a number of accessories that are available to make the Rhino ride even more enjoyable. For instance, when riding in frigid temperatures, a heavy duty full cab enclosure will keep out the cold air so the passengers’ coffee stays hot. Or, if only a partial cab enclosure is desired, there are several varieties that fit the bill perfectly. All are easy to install and remove as needed. Sometimes the driver and/or passengers need to monitor their surroundings. When this happens, the break-away side mirrors are the perfect accessories to give the driver the best visibility as to his/her surroundings. And, because these mirrors have a “break-away” design, the driver never needs to worry about the mirrors breaking off in dense foliage. Whenever the mirror comes into contact with a tree limb or other obstacle, it simply folds itself inward and can be quickly and easily folded back out again. There are many other Yamaha Rhino accessories that will provide plenty of extra fun and enjoyment, such as stereo pods, specialty wheels and tires, storage compartments, and extra lighting. The best course of action is to check out them all and start accessorizing. My sister with her hubby arrived from the Middle East few weeks ago and we had a great bonding times with her family, my brother's family and my mom. Just last May 11-12, we went to Tagaytay. Actually, my sister and her hubby will be principal sponsors at a wedding in Tagaytay that is why we are also going there. Very early morning of Saturday we already traveled and thankfully only after 1 1/2 hours we reached Tagaytay already for we used the C6 road. Awesome travel, no traffic and so fast because of the shortcut. We stayed at Monteluce condotel owned by my sister's friend in Silang Cavite, which is just few minutes away from Tagaytay proper. 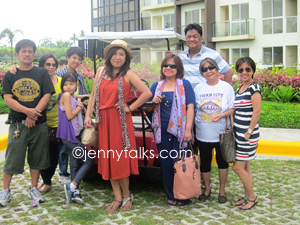 We went to different places in Tagaytay and we had the best weekend and Mother's Day celebration as well. My sister and hubby will be leaving soon and I hope they will be back soon. When I was growing up, I never fully cared about my teeth even though my mom always teaches me on how to properly take care of it. I regretted not heeding some of her advices because I end up not having good set of teeth. I experienced having much pain because of the cavity and all and that resulted in the extraction of some my teeth. Later on, having a denture is really uncomfortable. How’d I wish I can turn back the hands of clock so I can take care of my teeth with so much gusto. Right now, I just give some advises to my nieces and nephews and tell them the importance of proper teeth maintenance. Going to the dentists can be a child’s nightmare while some enjoy being able to talk to their dentist and know the status of their oral health. These days, there are more reasons to go our dentists. Aside from knowing we can properly address some oral issues that we have, we can also experience new dental procedures that is not available in the old days. If you are new to the area, scour the place to find local dentists in the area. If you have friends or relatives, you can ask for referral to have other options. Those in Montreal area,, John A. Petruccelli DMD, FAGD, a montreal dentist is ready to help you with your oral problems with their various dental services. Get an appointment request at a dentist montreal in your area and overcome your fear of dentists if you have any. Leaving your teeth or gum problems for a long time will only exacerbate the situation that may lead to much worse scenario in the end. Having a good oral health can be our ticket to a more confident smile and conversation with other people. I guess you have read my previous post about my wish to do to Ilocos Region. Finally, I've been there with my niece last April 30- May 3, 2013 and we had a grand time! We actually almost toured the whole Ilocos region, going to famous tourists spots that we all can be proud of. We toured for 4 days and 3 Nights and it was still "bitin". Wish we have stayed there for a week but my niece and I need to go back to work. My Ilocos trip made me want to visit more provinces here in our country for we really have great places to see. I posted our detailed ILOCOS Tour on my travel blog and I hope you can read and see our photos. I definitely recommend anyone to visit Ilocos region for you will be captivated by its beauty. A good friend of mine is very active in their church and ministry. In fact, a day of worship and service are nothing new to them during Sundays and Wednesday is their Bible study day. Her whole family and church mates are happily rejoicing during their worship day and it's not complete without music. Their youth members is also in music ministry wherein young or new members are encouraged to participate to sing and even play musical instruments of their choice. Her children are also learning to play the guitar while some wanted to learn the skills of playing the keyboard. I guess it's not hard to learn if you really want and have passion for it. With all the music activities that they have in their church, acquiring musical instruments like drums, guitars, trumpets and cases that can protect them are bought as an investment of their church. ..... I'm overwhelmed with work and I'm so thankful for that. ..... I need to recuperate from money bankruptcy hehehe for I have been spending much lately due to my out of town expenses and more. .... I'm happy that my sister and her husband are in the country for few weeks and this helps us to bond as a family. .... I'm proud that my niece and nephew will have their graduation ceremonies before the month ends. .... I'm excited because we'll be going out of town once again. Yesterday was a national elections day here in our country and as a good citizen I voted together with my family. We're done voting in just few minutes for elections is automated already. Today, we're all keen on knowing who won in the Mayor and Vice-Gov. race in our town and I guess later on today someone will be proclaimed already. 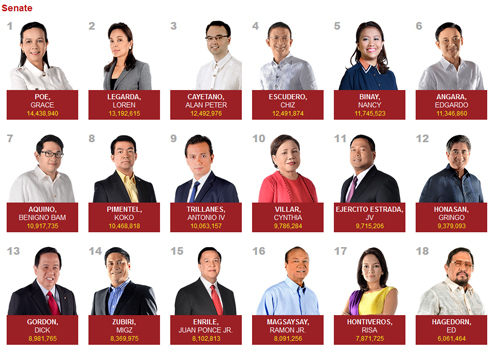 Results for the senatorial race is not finished yet as of this time but it looks like Grace Poe (I voted for her), ranks no. 1 as a Senator. There's no doubt that a lot of people and supporters of each candidate are waiting for results. Anyone can see partial and unofficial results of votes on TV or online. I will not wonder anymore if some people will put their TV on flat panel mounts in their establishments and turn them on for people to see the ongoing canvassing of results. I just wish whoever wins in this election, they must serve the people and do their best to alleviate the status of our country. Yesterday, MAY 13, 2013 is Automated Philippine National Election where we need to elect new 12 Senators, Congressman, Governor - Vice Gov., Board Members, Party List, Mayor-Vice Mayor and Councilors. After lunch time, heavy rains started to pour so we just waited for it to stop before going out to vote. 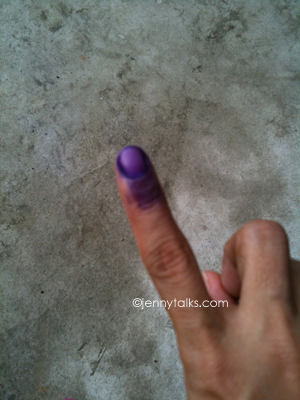 It was around 2 pm when we went to the elementary school where we need to vote. In just few minutes we're able to locate our precinct room. Thanks to Parish Pastoral Council for Responsible Voting (PPCRV) staff for finding our precincts using their computers. Other precincts have long lines of voters but thankfully I was only at 3rd row in our precinct's line. I was done voting in just couple of minutes because I already know who to vote plus I have a list with me just in case I forgot. Voting is easy now because it is automated already. We just need to shade the oval shape beside each candidate's name. After voting, the board of election inspector (BEI) in our precinct lets me "feed" my ballot at the Precinct Count Optical Scan (PCOS) machine and it was successfully done. An indelible ink was place on my index finger and it's a sign that I have voted already and have exercised my right to vote as a citizen. While waiting for my mom and SIL to finish voting outside the room, then came TONI GONZAGA with her mom and dad who is running for Vice-Mayor. Toni, is a local celebrity and my townmate. I was excited to see her up close and fortunately, my mom and I had the chance to take a photo with her. She was in jeans, black long sleeves,cap and wearing a blue "bota" (rain boots). Beautiful, skinny and always smiling when someone asks her for a picture. Many years ago, she's was an SK (Sanguniang Kabataan) member in our place, so politics and serving is not new to her. As of this writing, his father Carlito Gonzaga is winning the vice-mayoralty candidacy. Purchase your livestock scales online to ensure that you have the best tools for your business. These are durable, high-quality products for warehouse or industrial use. Turn weigh data into digital format linking directly to your computer. Save time with a more efficient livestock weighing system. Choose solid weigh bars to counter balance livestock. Stainless steel square or rectangular platforms have non-slip surfaces. Select an axle scale for easy loading or unloading. A large platform scale that can handle 60,000 pounds is available with dimensions of 10 feet by 10 feet. These livestock scales are resistant to rust and can be easily cleaned. Use the large livestock aluminum alleyway to guide animals onto platforms for their weighing. Accuracy is important. The DataLog system allows you to track weights immediately. You can buy a postal scale - economical in size, shape and function. You can choose from a variety of specialty scales also, like pallet jack and forklift scales. You can also get the new drum scale for use in shipping and receiving. The watertight junction box is ideal for any environment. High quality, diamond-plated steel is used in these NTEP-approved scales. The built-in overload protection ensures that workers will be safe while using this drum scale. Find the best livestock scales at Floorscalesdirect.com. Had a late afternoon snack and early dinner tonight. I was starving at around 5pm so I decided just to buy some chicken joy and chocolate sundae at the nearest Jollibee store near our house. Sophie thought she's going out when she hear the sound of the gate keys. I talked to her in my calm voice that she's a good girl and we'll go out after I come back from Jollibee. It seems that she understands me that is why she didn;t whine or beg me to put on her leash. She just stared at me while she was seated and throw me some glances when I went out of the gate. I was back so after 10 r 15 mins. so my niece an I hungrily devoured our chickens and I was full after. I quickly grabbed the keys again and saw Sophie at the window peaking trying to know if we are going outside now. She wags her tail as soon as I reached for her leash and off we went outside. Dogs of our neighbor quickly came to our side and walked with us. It seems that they want some walk too. We were out for roughly half an hour and while outside we picked some ripe alatires and they are so sweet. Sophie needs some walking from time to time and that makes her so happy. These days, more and more people are trying to be healthy. In fact, I have seen a lot of people in our area who are walking, jogging, running and doing some aero exercises when I get the chance to walk/jog myself. It’s a good indication that people wants to be mobile and to veer away from being sedentary. Exercise is giving good benefits to all people who are into it. Just some of the benefits that we can get are good posture while we are walking, good breathing, fresh feeling, energy and it keeps us feeling energized. We can’t also hide the fact that we can meet new people or friends along the way or while you are doing exercises just like what happened to me. I gained new friend in our aerobics exercises and it helps broaden my set of friends. I also admire people who are into running for they have so much energy and passion to do that. It’s really no joke to run for hours without being exhausted. I have tried running but I only lasted for few minutes. Running needs great endurance and proper training. I believe that those who are passionate into this kind of sport much like cycling and marathon also need some gadgets like Polar RCX 5 that can monitor their heart rate and other gadget that can calculate how many steps they have taken or calories that they already burned. Athletes are just too admirable, their passion and dedication for their chosen sport are undisputed. Exercise is not only for those who want to lose weight but for all of us. Right now, my sister and her husband are already soooooo excited to come home here in the country. Why? Their 2 children are graduating from college and all parents will be so proud of that. Both of their children will be graduating from the same university, the eldest took Computer Engineering while my niece finished her Multi-media arts. It's been a long and hard studying for them and finally they are graduating from studies. It's no joke to finish their college degrees esp. at Mapua Institute of Technology where they have 4 terms per year. Just imagine taking up subjects for only 3 months and with only 1-2 weeks of vacation each term. Just so happy for both of them. In fact, my nephew already landed a job for himself. He was actually absorbed by a company where he trained during his OJT. He is into game developing, something that he really loves to do. He said that it is his dream job. I'm wishing both of them good luck in their chosen careers and this is just the beginning of their new lives as employees. There are few things more important to your overall health than the water that you drink. In many parts of the world, contaminants in the environment eventually find their way into the water and even make it impossible to drink in a healthy way. Many people have turned to purchasing bottled water to counteract the pollution in natural water, but this is an expensive proposition. It is especially expensive when you consider that the Frigidaire Puresource water filter gets water just as clean as any bottled brand without the ongoing cost of having to purchase the product over and over again. The Frigidaire Puresource water filter is just one of the many accessories that Frigidaire offers through its website directly. As one of the most popular options for water cleaning, the Frigidaire Puresource water filter is worth its weight in gold when it comes to keeping you and your loved ones healthy as well as saving you money. When you are ready to increase your quality of life without spending a great deal of money, come to the Frigidaire website and make sure to pick up the Frigidaire Puresource water filter for your living space as well as for your place of business. Back Home from Ilocos Adventure! Arrived super late last night from our 4D/3n ILOCOS Norte/ Sur ADVENTURE (Laoag, Burgos (light house), Bangui (Windmill), Pagudpud and Vigan Advehtures with niece. It was super fun and great adventure! ILOCOS is definitely a must see place! There are so mangy places to see there. Will post some photos and stories later. Back to reality and back to work!